K 2 Premium Car & Home 16741190 https://www.kaercher.com/ae/home-garden/pressure-washers/k-2-premium-car-home-16741190.html The "K2 Premium Car & Home" is suitable for removal of normal dirt around the home. With cleaning agent tank, wash brush, 0.3 l foam nozzle, car shampoo, T 50 surface cleaner and "Patio & Deck". The "K2 Premium Car & Home" is suitable for removal of normal dirt around the home. With cleaning agent tank, wash brush, 0.3 l foam nozzle, car shampoo, T 50 surface cleaner and "Patio & Deck". The "K2 Premium Car & Home" features a convenient cleaning agent tank. Ideal for cleaning bicycles, garden furniture and garden tools. The Home Kit for efficient cleaning around the home and Car Kit for perfect vehicle care, make this machine an all-rounder. 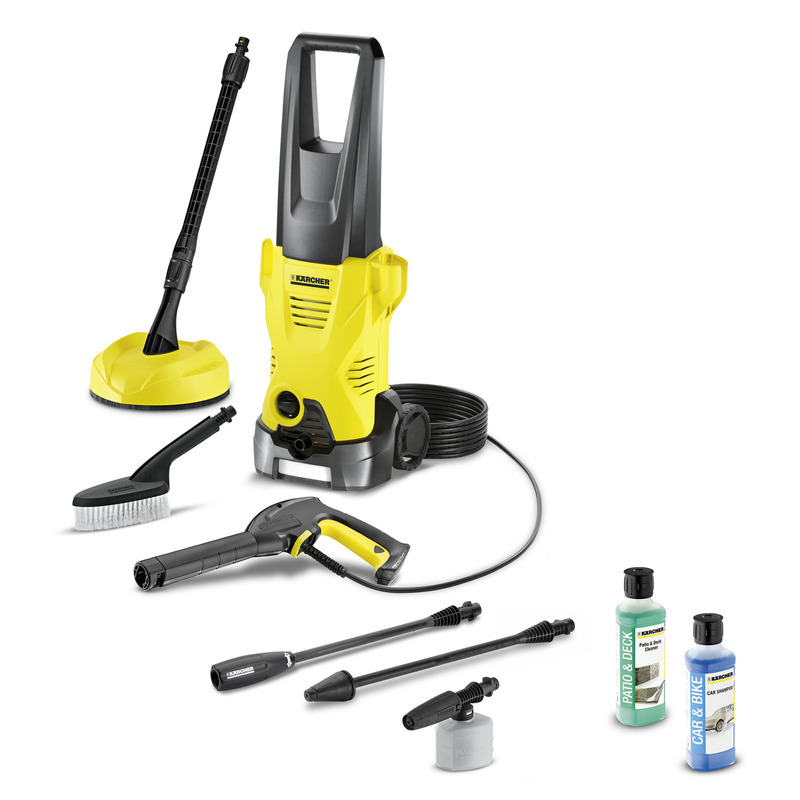 The Home Kit includes the T50 surface cleaner and 500 ml "Patio & Deck" cleaning agent. The Car Kit includes a wash brush for effective removal of grey film, 0.3 l foam nozzle with a powerful cleaning action and 500 ml car shampoo. Further features include a trigger gun, 6 m high-pressure hose, Vario Power spray lance (VPS) with simple pressure adjustment, dirt blaster with rotating pencil jet and water filter. Generous cable hook for the tidy storage of the cable directly on the device. The practical detergent tank simplifies the application of detergents.